Van Dijk Consultants is your one-stop shop for full-service website development. A proven track record of working with businesses and providing them with the resources they need to reach their full potential. Developing sites with the end user in mind. The best websites are not just useful and informative, but engaging and simple to navigate. Then we take the next step to connect you with with your customers on a relatable level. Van Dijk Consultants has the skills to translate your ideas from abstraction into a stunning reality. Putting together fluid and navigable website and offering marketing services since 2007. Van Dijk Consultants is a full-service website development and marketing company that helps customers achieve online success by building engaging websites, providing technical support, and promoting businesses across social media platforms. We’ve been doing this since 2007, there’s no aspect of website development that we don’t understand. We love to help businesses market themselves and give their brand an identity. We know how to connect with consumers on a relatable level. Search engine optimization is the best way to rank your site and bring in consistent organic traffic. There is more to using Google Analytics than just adding tracking codes to your site. We have a clear understanding of how Google Analytics works and how to best interrupted the information for better understanding your website traffic. Cindee Van Dijk is a seasoned creative and code specialist with a proven track record of translating ideas from abstraction into a stunning reality. She has been putting together a fluid and navigable website since 2007, experienced in building WordPress and Joomla websites. Cindee has multifaceted skills in marketing, project management, and a sound technical knowledge of search engine optimization (SEO), social media marketing, web analytics, web site assessment, web design, email marketing, and keyword research. Cindee is a highly motivated, creative, and goal-oriented person. Always eager to exceed objectives, take on more responsibilities, and make a lasting impression with every project, Cindee is known for her ability to multitask pressing projects simultaneously and thrive in environments that continually embrace innovative technologies. 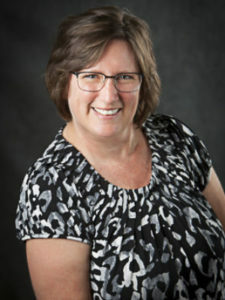 Currently employed at Iowa Wesleyan University as a webmaster, Cindee uses her extensive experience to deliver measurable and efficient results for her employers. She also serves as a Marketing Director with Masterson Equine Services, Fairfield, IA. In this role, she developed marketing campaigns that increased the overall sales of products and services from a ¼ million in 2012 to over ½ a million dollars in 2015. Away from her professional life, Cindee is happily married and a mother of three. She is an active member of her community, who is always eager to share, meet, and interact with people.